SL Government Agent of Mannaar district, Mr M.Y.S. 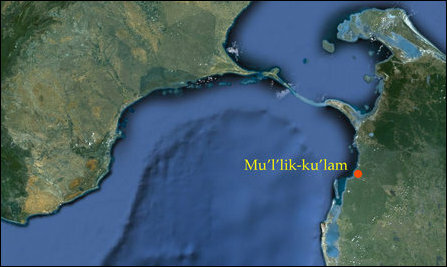 Deshapriya, a Sinhalese and the occupying navy of Colombo are allegedly engaged in creating a Sinhala colony at Kaayaa-kuzhi, situated near Mu'l'lik-ku'lam in the Musali division of Mannaar, say Tamil and Muslim fishermen from the district. 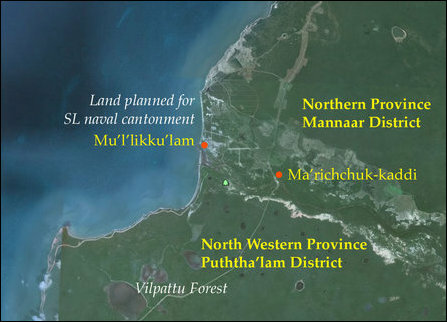 While hundreds of Eezham Tamil families from Mu'l'lik-ku'lam are not allowed to resettle in their own village, which has been transformed into a SL Navy cantonment named “North-Western Naval Area HQ of SL Navy”, Colombo is attempting to colonize the nearby Kaayaa-kuzhi area by permanently settling 70 - 80 Sinhala fishing families from Chilaapam (Chilaw) and Negombo, said Mr Noor Mohamed Aalam, the chairman of the Federation of Mannaar District Fisheries Associations. Tamil and Muslim fishermen societies have announced a protest against the move on Friday. During his visit to Jaffna, Mohamed Aalam said that the native fishermen have expressed fear that the seasonal fishermen from South are being promoted to permanently settle in Musali. The Tamil-speaking fishermen have no qualms with seasonal fishermen coming from South if they only engaged in seasonal fishing and dismantle their temporary huts as they have been practicing before 1983. But, Colombo and its military are now creating tensions along ethnic lines by encouraging the Sinhala fishermen to permanently seize the lands at Kaayaa-kuzhi, Mr Aalam further said. Tamil-speaking fishermen are now demanding a written assurance from the SL Government Agent that the fishermen from south would not be allowed to put up permanent structures, he said. Already, there are military establishments at Chilaavaththu'rai and at Mu'l'lik-ku'lam, he said. 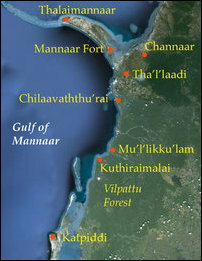 The Tamil-speaking fishermen are opposing the colonisation and demographic change coming through Sinhala militarisation in Musali division, said the chairman of the Federation of Mannaar District Fisheries Associations.